You probably own some items of real or sentimental value (jewelry, antiques, art, heirlooms, furniture, clothing, etc.) that you want a certain child, grandchild, special friend, relative, or organization to have after you die. Or perhaps you simply want to provide an orderly way for your belongings to be divided among your heirs after you’re gone. We’ve all heard stories about fighting over Grandma’s piano or fine china. The damage is sometimes so deep that siblings don’t speak to each other for the rest of their lives. Make A Special Gifts List: Whether you have a living trust or only a will, you can make a list of the special gifts you want to make, and who should receive them. Sign and date the list. If you think the list might be challenged after your death you will want to make sure it is witnessed, preferably by someone who isn’t on the list as a beneficiary, and you may even want to have it notarized, then file it with your estate planning documents. If you change your mind, just make a new list. To prevent disagreements about your intentions, be very specific. If your list is long, make a separate list for each person, but make sure you don’t give the same gift to more than one person. If your estate is sizeable or if a gift is of substantial value, have your attorney review your list to resolve potential tax issues. Be aware that, provided you refer to the list in your will, Florida statutes specifically allow you to use a list to make gifts of tangible personal property, as long as it is not used in trade or business. The list can be made before or after the execution of the will, and you can change it at any time. You should update the list occasionally. Remember, any list prepared before 2010 won’t say anything about who gets your iPad. Make Gifts Now: If you no longer need or use an item, make a gift of it during your lifetime. This will give you the advantage of seeing someone else get pleasure out of the gift. It also avoids any problems with the gift getting to the right person later on. Write a Description: This is especially useful if it has sentimental value or is a family heirloom. How else will they know this turkey platter belonged to your favorite Aunt Jessie and that one was picked up at a garage sale? If the item is large enough, label it. Most people don’t want to dwell on their own mortality, but the simple act of making a list of those items that you want to be given to certain persons after your lifetime can help ease the loss your family will feel when you aren’t there to tell them what your preferences would be. Hallie Zobel developed a genuine interest in the care and well being of seniors while volunteering at a local nursing home as a Winter Park High School student. Today, Hallie continues with this compassion as a partner at Your Caring Law Firm where she focuses on estate planning, probate, guardianship, trust administration, and Medicaid planning. Her clients include families with special needs, as well as seniors with end of life issues. Hallie has been a member of the Florida Bar for over twenty-one years. Earlier in her legal career, she was a litigator, handling both criminal and civil jury trials. 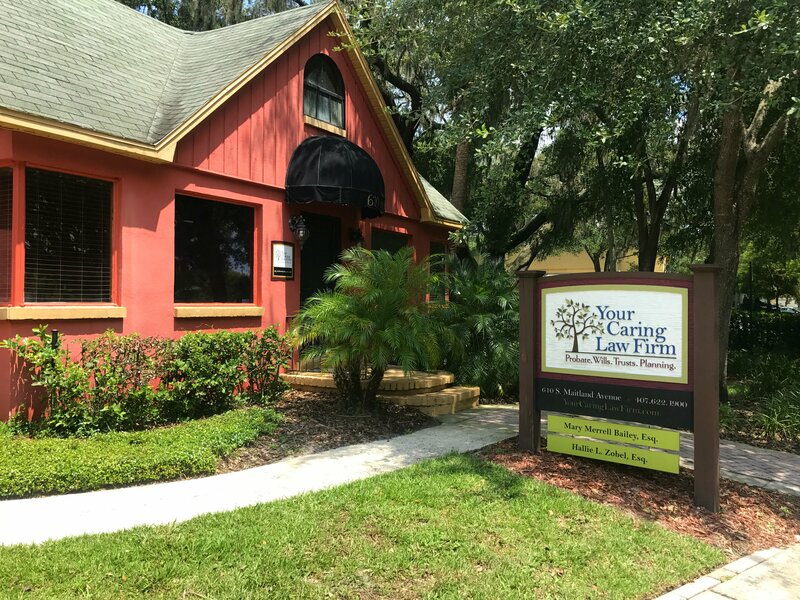 Hallie is a member of The Florida Bar Association; the Elder Law Section of The Florida Bar Association; the Orange County Bar Association; and the National Academy of Elder Law Attorneys. Celebrate National Old Stuff Day!